Yes, you’ve heard it here first. Willowby’s newest collection will be in store for one day only. Saturday 23rd February. If you haven’t found your dress yet, this event could be for you. We have always adored Willowby and have been proud stockists for the past couple of years here at Flossy and Willow. Offering our brides something a little different. Romance and individuality is everything, and what we also love is the fact purchasing one of their dresses will not break the bank. It’s true you get what you pay for, and in this instance – a reasonable price tag of between £1100 – £1700 gives you a dress which rocks individuality, with the impeccable quality to match. Their newest collection ‘Love her madly’ has not disappointed. Created and inspired for today’s free spirited bride, staying true to their identity Willowby have released a collection of bridal gowns we just know your gonna love. Think, soft tulles, modern laces and the most comfortable to wear designs. Here’s a glimpse at what you can expect to see. And if you love it, the good news is we have a few appointments remaining so call now on 01225 867600 or email flossyandwillowbridal@gmail.com to discover more a fee of £25.00 is chargeable, however this can be redeemed against any purchase made on the day. WIN ON THE DAY WEDDING COORDINATION BY PUDDING BRIDGE WORTH OVER £700! 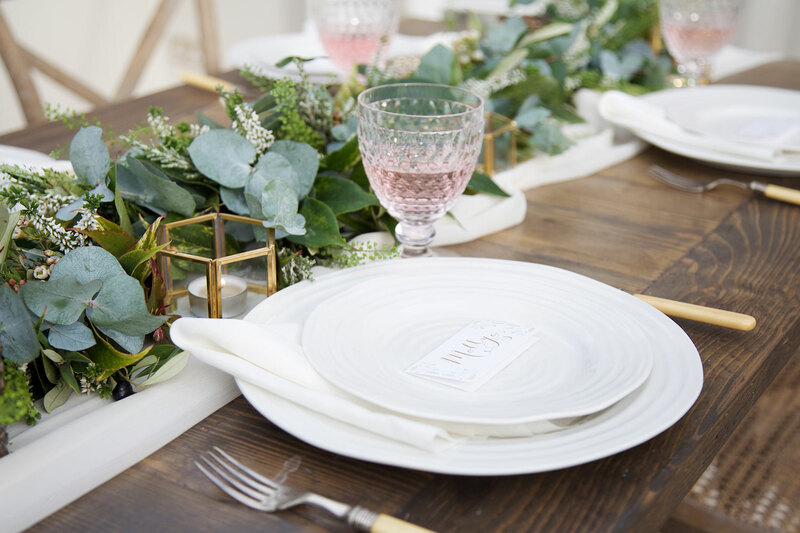 Famed for their stylish, contemporary decor that’s perfect for dazzling celebrations, multi-award winning wedding and event company, Pudding Bridge, has launched a brand new wedding planning service. From creative vision to visiting venues, founder Helen Hopkins can organise every aspect of your day. Whereas hiring a wedding planner was once considered a decadent indulgence, many now consider it a sensible investment no couple should be without. If you have a demanding job, a busy lifestyle or you’re trying to organise a wedding while living overseas, you’ll definitely benefit from Helen’s knowledge and expertise. To celebrate this exciting launch, we’ve teamed up with Pudding Bridge to offer one lucky bride the chance to win an incredible prize. Do you want to relax and enjoy your wedding day without having to worry about logistics? Helen has designed her wedding day management service so you can do exactly that. Whether you’re organising an elaborate celebration or an intimate gathering, Helen will make sure it’s memorable for all the right reasons. Having discussed your plans and produced a detailed running order, she’ll be on site at your wedding venue from the moment set-up begins until the end of your romantic first dance. She’ll liaise with your suppliers throughout the day, assist you and your guests and make sure you have a perfect day! To be automatically entered into the competition, all you need to do is attend an appointment at either Perfect Day Bride or Flossie & Willow Bridal Studios. The winner will be chosen at random by us. The location of your wedding can be up to 60 miles from Bath and the cost of travel is included. Discover more about Pudding Bridge and what they can do for your wedding day at http://www.puddingbridge.co.uk. Pronovias designs are famous for their fabulous cut. 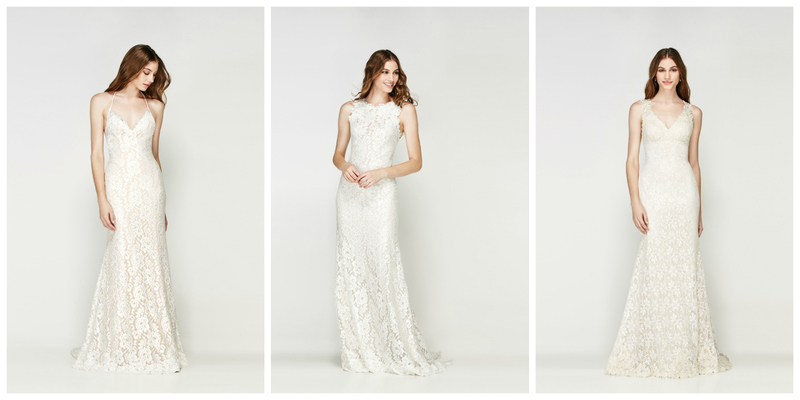 Super flattering and downright gorgeous, these dresses feature regularly at A-list weddings. So, when you visit us to try on our Pronovias edit, you’re guaranteed your OK! mag moment. 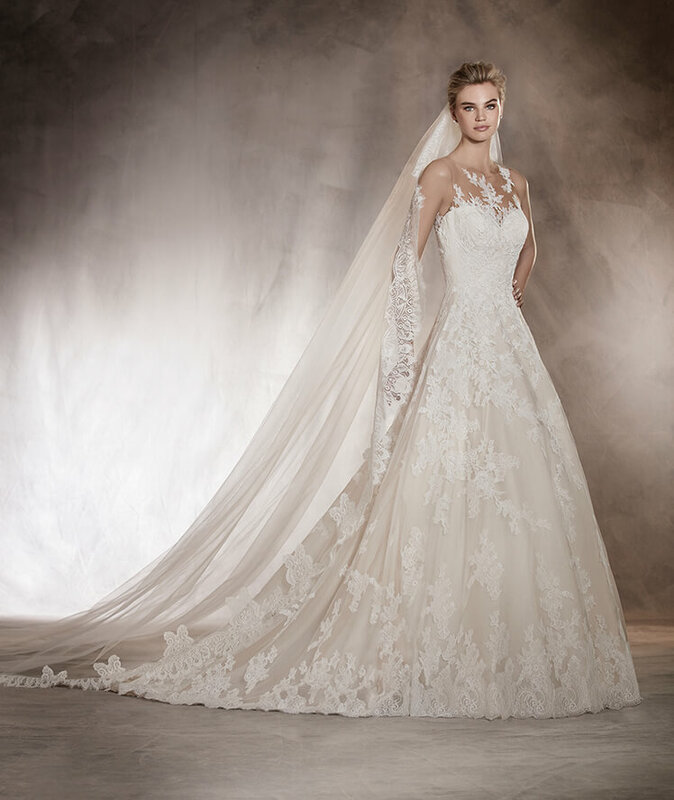 We also love Pronovias gowns because of the fabrics. Really, they’re just heaven. Gorgeous laces are major features of many of the dresses and they’re just perfect. 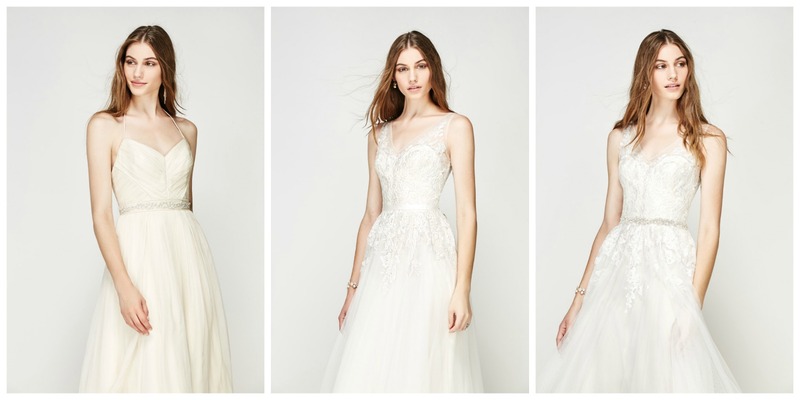 Check out the illusion necklines and bodices – swoon! 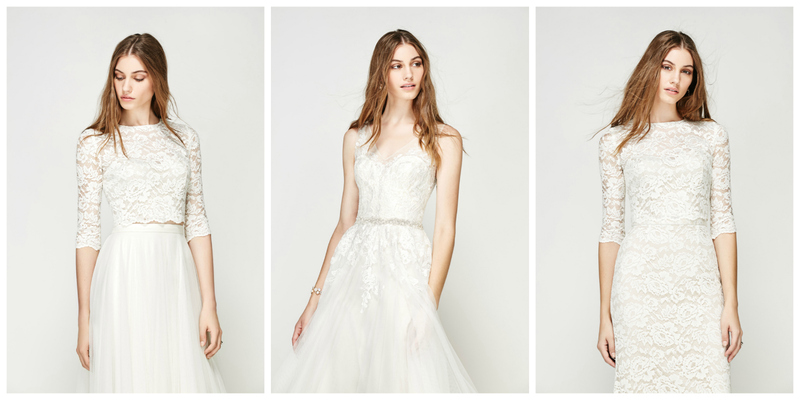 We’re head-over-heels with the lace sleeves and embellished hems too. There are also plenty of First-Lady style gowns in the collection too. Fitted waists, full skirts, elegant necklines and on-trend pockets are just so chic and stylish. We predict that these classic, sophisticated styles are going to be VERY popular indeed. And we’re not the only ones who are members of the Pronovias fan club. Hop on over the top blog Rock My Wedding, search for Pronovias and you’ll see oodles of fab real brides wearing these dresses. Or, take a peek at this feature on Love My Dress that says the current collection is ‘simply bursting with brilliant new designs’. We don’t like to boast but we did tell you these designs are totally on point. So, if you’re putting Bradford on Avon set into the sat nav so you can pay us a visit, then you need to know that these dresses arrive at Flossy & Willow in April. Of course, we’ll let you know on Facebook, Instagram and Twitter as soon as we have an exact date. Then, get in touch to book your appointment and we’ll be waiting to welcome you. HAPPY BIRTHDAY TO FLOSSY & WILLOW! We can’t believe that it’s a year since we opened the doors to Flossy & Willow. And, what a year it’s been. 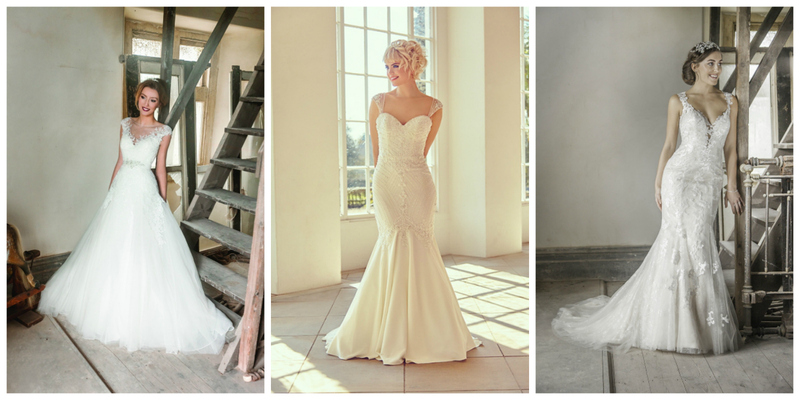 We’ve met hundreds of amazing brides and helped them to find their perfect wedding dress. 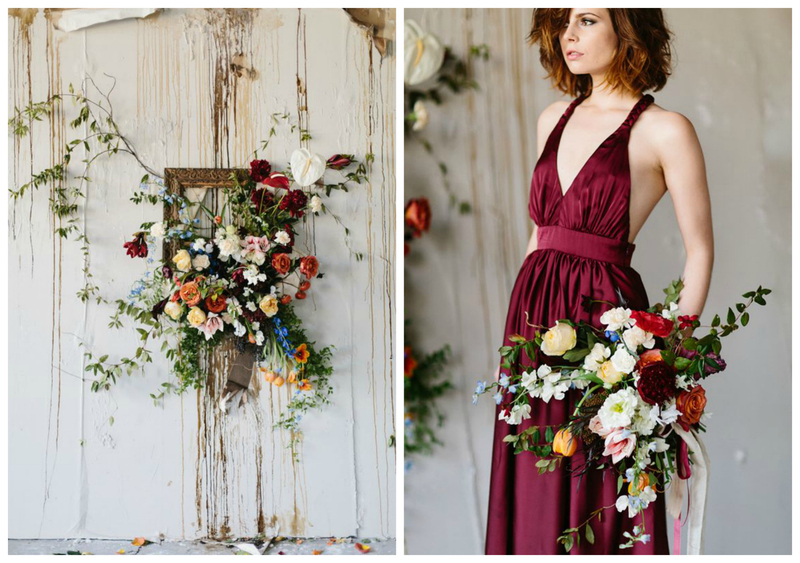 We’ve taken part in some downright gorgeous styled shoots that have featured on Love My Dress and Style Me Pretty. The whole team has loved every minute and we can’t wait for the next twelve months. Who knows what we’ll have achieved by our next birthday! One of the most exciting things to happen at Flossy & Willow came back in the summer. Our chic and cool older sister, Perfect Day Bride, moved in with us. This has been the absolute best thing ever. Now when you visit us, if there’s a dress in the Perfect Day collection that you just HAVE to try on, you can! Or, we can book you a double appointment so that you can spend ever more time with us. 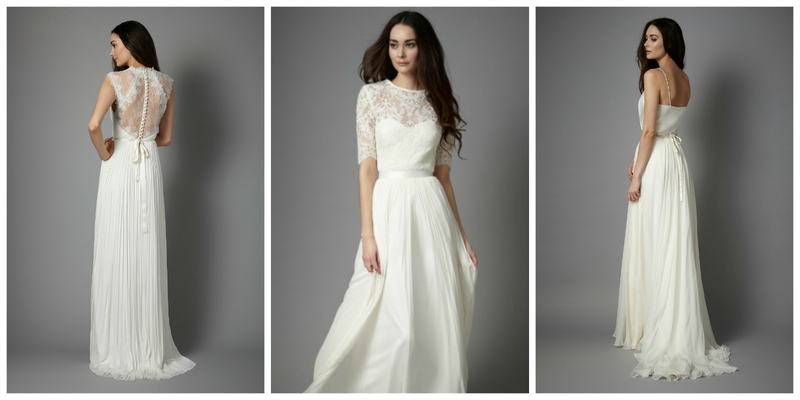 Our edit of wedding dresses from handpicked designers has to be seen to be believed. So, what are you waiting for? Come and see us soon! There’s so much to look forward to! Firstly, our diary is starting to fill up with designer trunk shows so make sure you’re following us on Facebook, Instagram or Twitter for the latest news. We’re also BEYOND excited to tell you that we’re bringing a new designer to Flossy & Willow! These wedding dresses are the actual bomb. If you want a brilliantly cut, flawlessly made dress in a heavenly fabric from a really famous label, this is for you. It’s our birthday but you’re the lucky ones getting the gift, how ace is that? It’s the most wonderful time of the year! Yes, it’s almost Christmas and we couldn’t be more excited But, as we close the door on Flossy & Willow for the festive period, we just wanted wish you all the best for a super Merry Christmas. It’s fair to say that 2016 has been a good ‘un for Flossy & Willow. Our big sister, Perfect Day Bride, moved in with us, we’ve welcomed new designers to the studio and we’ve been part of some fantastic styled shoots. In fact, we’ve done a lot in twelve months! But, the very best thing about 2016 has been meeting so many downright brilliant brides. Meeting everyone and helping brides find their dream dress never gets old. In fact, it gets better and better every time we do it. 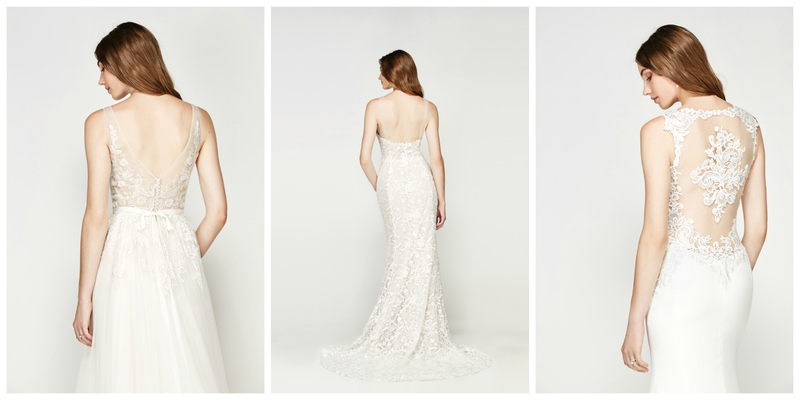 Here’s to all the brides that said yes to the dress at Flossy & Willow this year. You’re just ace. So, what’s going to be coming your way in 2017? Well, you know that we’re not going to tell you everything right now! However, we can tell you that there’s going to be all kinds of excellence and we know you’re just going to love it. Christmas teases aren’t we? We’ll be taking a break over the festive period so that we can indulge in a cocktail or two. Or three or maybe even four. Flossy & Willow is now closed until 3rd January 2017. We’ll still be checking our email over the break so if you can’t wait to book your appointment with us, just ping a note to flossyandwillowbridal@gmail.com. We can then pop you in the diary so we’ve both got things to look forward to in the New Year. Here’s to a flipping fabulous Christmas for us all and for everyone we care the most about. Joy to the world and festive fun for all! Catherine Deane wedding gowns really are something special. They’re so incredibly feminine but they’re also absolutely on point in terms of fashion forward design too. 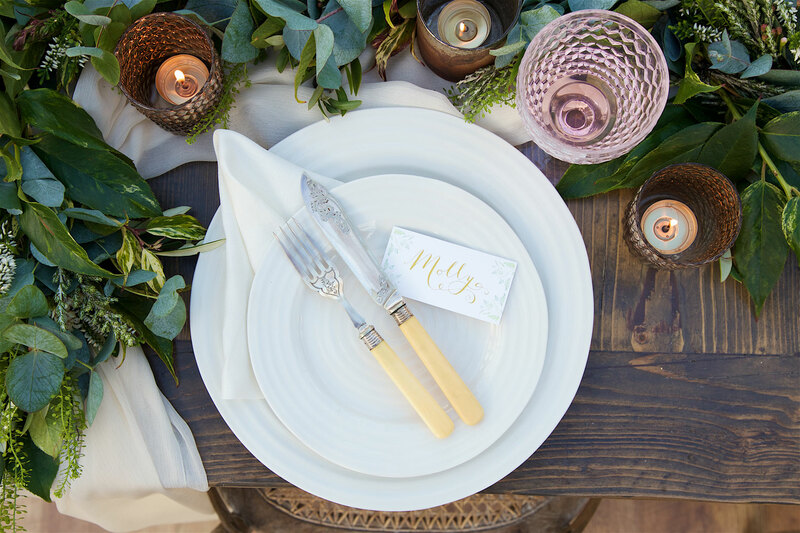 We adore the fact that Catherine mixes traditional techniques with contemporary and modern styling. There are also gorgeous fabrics, amazing details and so much more to fall in love with. 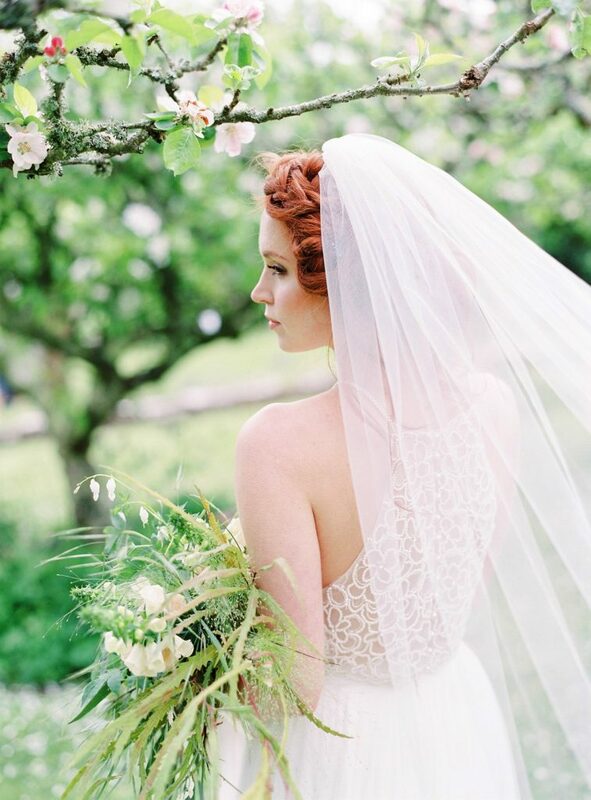 Check out the dreamy silk tulle and the oh-so pretty French lace. Swoon! Our edit of Catherine Deane dresses picks out the very best from the current collection. You’ll find elegant yet alluring silhouettes aplenty in our selection of wedding gowns but there are also stunning separates to discover too. 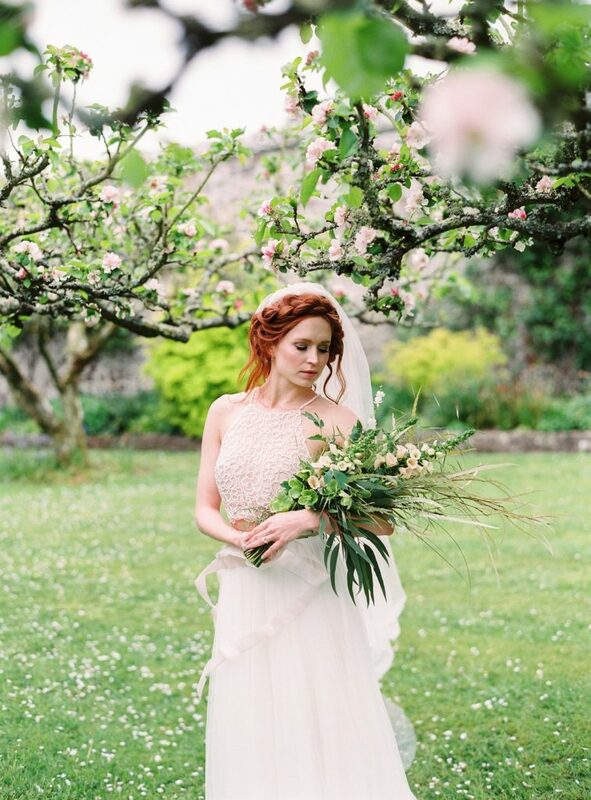 We’re also head over heels for Catherine Deane wedding dresses because they’re just perfect for all styles of weddings. From sophisticated and elegant affairs to laidback occasions and cool celebrations, there will be a Catherine Deane gown you’ll want to wear. 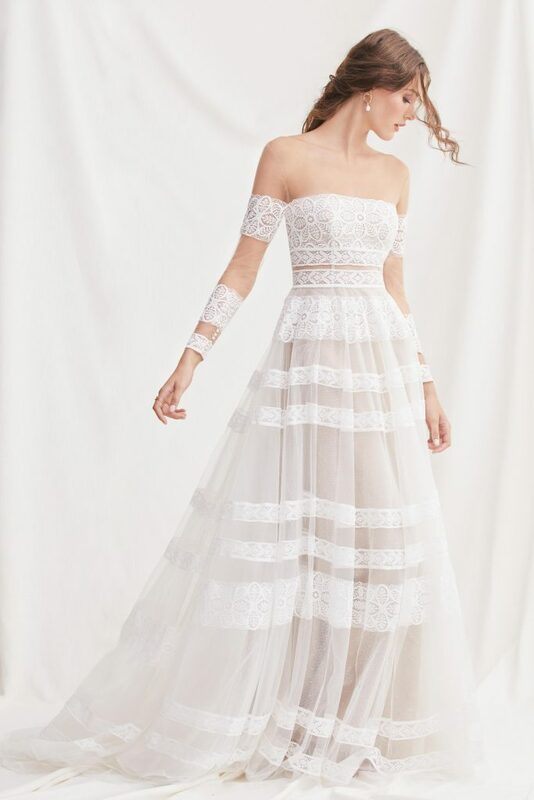 When you visit us to try on our collection of Catherine Deane dresses, definitely use the opportunity to get creative with accessories to put an individual twist on your wedding day look. Killer heels, statement jewels and more all look downright brilliant. 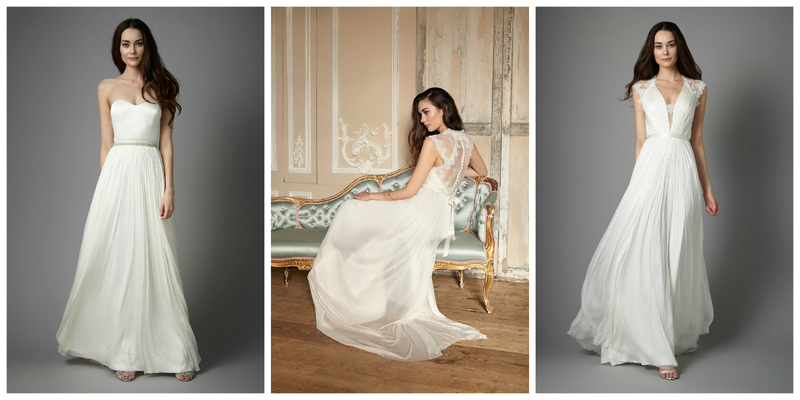 We LOVE styling brides in these sublime gowns! 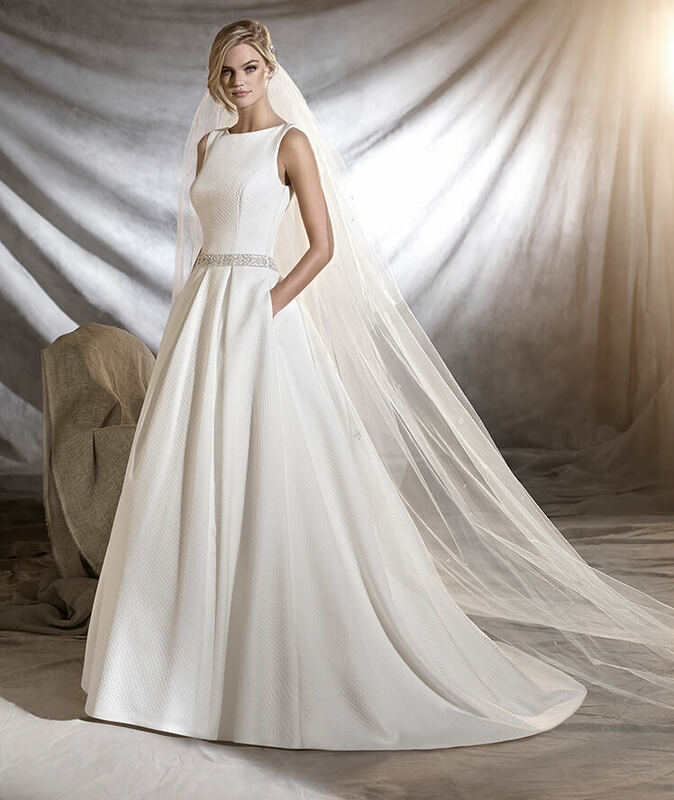 Our collection of wedding dresses by Catherine Deane range in price from £900 to £1500. So, if you want to visit Flossy & Willow to say hello to Catherine Deane designs then just get in touch to book your appointment. You can reach us via 01225 867600 or via flossyandwillowbridal@gmail.com. You’ll find us at 7 Silver Street, Bradford on Avon, Wiltshire, BA15 1JY and we can’t wait to see you soon. But, let’s start by introducing you to Benjamin Roberts and the latest collection is full of everything fabulous. Slinky silhouettes, flowing chiffons, super romantic gowns and the cutest embellishments you ever did see have all made it into our edit of gowns and we’ll be stocking the very best of the 2017 collection at Flossy & Willow. And we’re not the only ones who think Benjamin Roberts is ace. Over the last few years, the team has picked up some of the most prestigious awards in the wedding world so you can see why we’re so excited to bring these wedding dresses to Flossy & Willow. In fact, we’re so excited, we’ll be welcoming the Benjamin Roberts label to the boutique with an entire weekend of celebrations. On 20th and 21st August, we’ll be holding Benjamin Roberts Designer Days at Flossy & Willow and you’re invited! Just get in touch with us on flossyandwillowbridal@gmail.com or via 01225 867600 to book your appointment. So, we can’t wait to see you in August. We have no doubt that you’ll become members of the Benjamin Roberts fan club too! Yes, that’s right – the event of the summer is just around the corner. 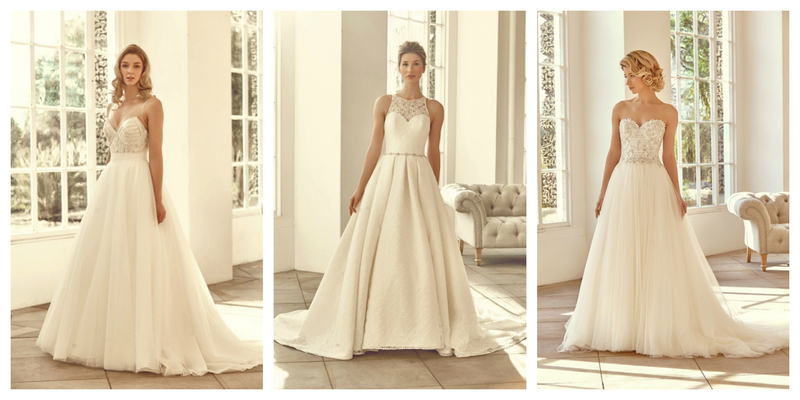 We’re thrilled to announce that the HUGE Flossy & Willow Sample Sale will be taking place in our Bradford on Avon bridal boutique on Thursday 30th June 2016 5-9pm. 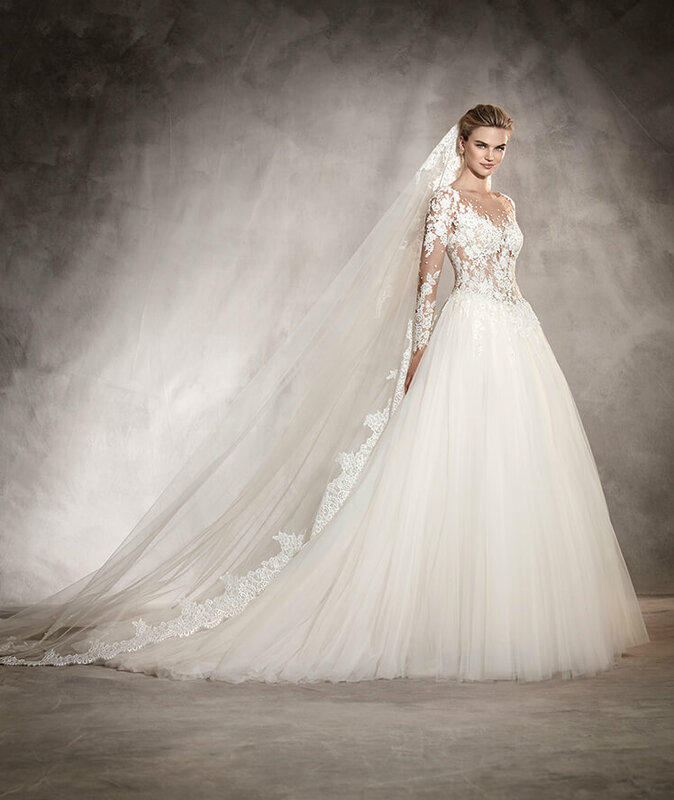 If you’re looking for your wedding dress and you’d like to bag yourself a massive bargain, then this is a summer sale that you can’t afford to miss. 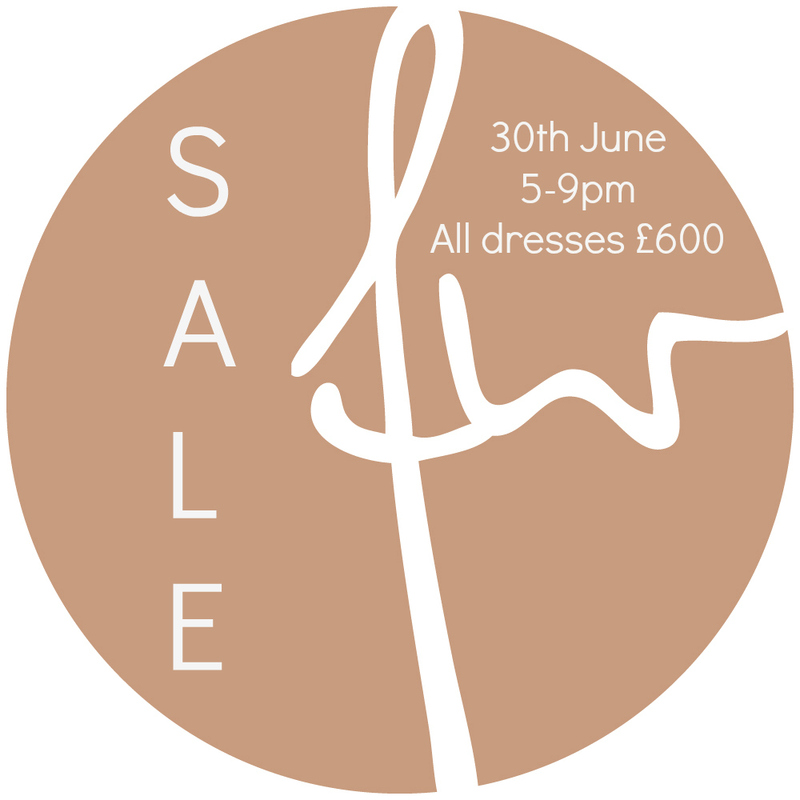 We’re discounting our sample dresses by more than 50% and any dress in the sale could be yours for just £600. That’s an absolutely gigantic reduction on our handpicked gowns from Willowby by Watters, Mikaella by Paloma Blanca, LM by Lusan Mandongus and Eliza Jane Howell to name but a few. You don’t need to make an appointment to shop our Sample Sale, just turn up and come on in but, be warned, it’s first come first served so don’t be late if you want to get a first look at the gorgeous wedding dresses on offer. Our location and contact details are here and we can’t wait to see you. It’s been a crazy busy few weeks at Flossy & Willow and, with wedding season in full flow, all things matrimonial are never far from our minds at the moment. Everything around us is super inspiring and we’re finding an awful lot to love in all kinds of place. 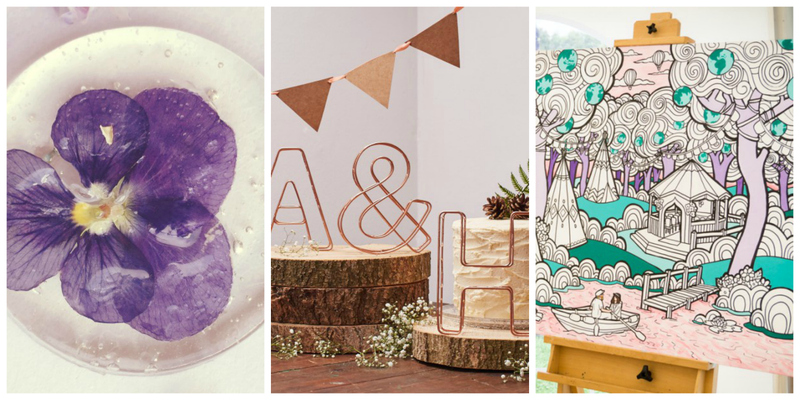 So, we thought we’d share a few of the things that we’re loving right now because, you know, you can never have enough wedding inspo! After spending FAR too long swooning over the delights of the RHS Chelsea Flower Show, we’re all about big florals right now, especially those that include masses of seasonal British blooms. 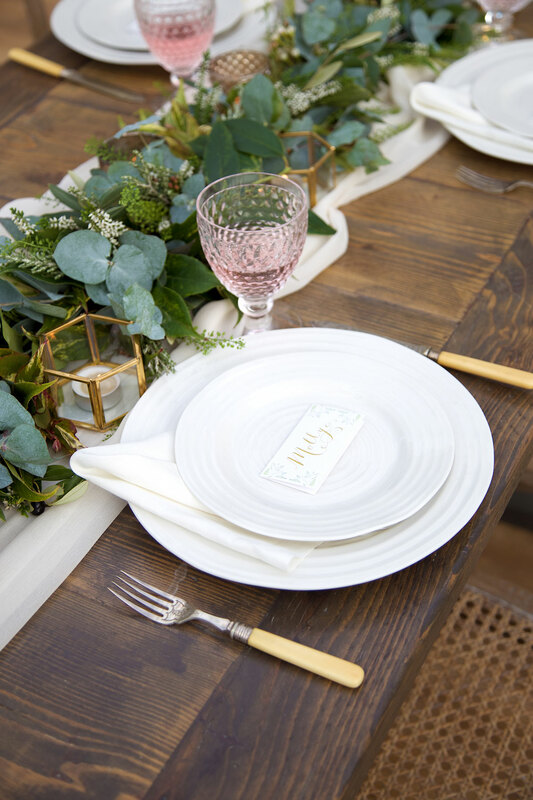 Whether we’re talking about oversize bouquets, statement installations or impressive tablecentres, we just can’t get enough and who cares about the hayfever?! Our favourite regional wedding magazine has released another brilliant issue and, as always, we’re loving it. VOW is free to download wherever you are and its clean design really makes us happy. 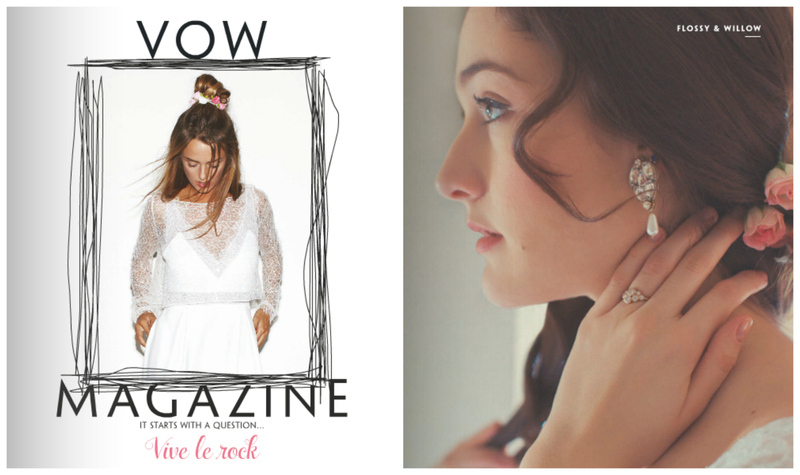 Of course, the latest issue makes us really happy because a shoot we were part of fills quite a few pages but there’s loads more to enjoy with VOW and we’re smitten with the fashion-led style of this fantastic mag. We’ve always loved the bright and vibrant Bespoke Bride and now, we have to admit that we’re spending a bit (OK, a lot. A very lot.) of time browsing their new BB Boutique. The edible flower lollipop favours are on our list of faves as is pretty much everything in the décor category. The copper decorative wire letters are brand perfect for Flossy & Willow and we’re very tempted by the massive canvases that you and your guests can colour in! No, we’ve not turned trainspotter but we adored seeing so many gowns with bridal-ready trains gracing the red carpet at the recent Cannes Film Festival. As well as the traditional trains, we loved the capes and details on the dresses of the best dressed. Also, colour and pattern – it was great to see bold colours and eye-catching patterns aplenty. Loving, for sure.